Cape Coral waterfront homes and properties are easy to find here. 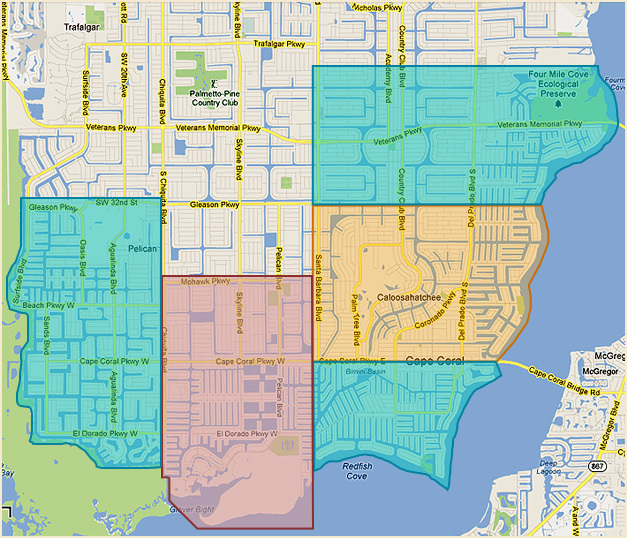 Search for your Cape Coral waterfront home or property by choosing a geo zone, list price range, or neighborhood hotlink. Cape Coral waterfront real estate offers excellent boating opportunities via numerous deep water gulf access canals and river frontage. Well known areas include the Yacht Club, Tarpon Point, and Cape Harbour. You can get a lot of home for your money on the water in Cape Coral.